You, yes, you can decide what our final book of 2010 will be. Your choices are below, and you can only vote once. These titles were selected by Cathie Sue, Emily and myself as books we really want to read. So vote and tell your friends even if they don’t listen to the podcast to vote and we will read and discuss the book for our December podcast. There had to have been signs, had to have been some clues it was coming. Did you miss them, or ignore them? Maybe if you can figure out where it all went wrong, you can still make it right. Or is it already too late? Think fast, Kyle. Time’s running out. How did this happen? You is the riveting story of fifteen-year-old Kyle and the small choices he does and doesn’t make that lead to his own destruction. Melanie Tamaki is an outsider. Unpopular and impoverished, she is the only child of a loving but neglectful mother. She barely copes with surviving school and life. But everything changes on the day she returns home to find her mother is missing, lured back to Half World by a vile creature calling himself Mr. Glueskin. 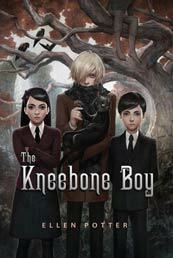 Soon Melanie embarks on an epic and darkly fantastical journey to Half World to save her mother. What she does not yet realize is that the state of the universe is at stake…. Then he meets the new Indian exchange student and falls for her—hard. Yeah, he wants to bite her, but he also wants to prove himself to her. But like the laws of life, love, and high school, the laws of vampire existence are complicated—it’s not as easy as studying Dracula. Especially when the star of Vampire Hunters is hot on your trail in an attempt to boost ratings. . . . 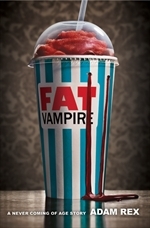 FAt Vampire was a huge disappointment! I really thought I was going to like it but actually hated it. Midway through the book the main character turns so obnoxious that you can hardly stand it. I know he’s a vampire but didn’t expect him to become so disagreeable. This books starts out nerdy and fun and has such promise but takes an incredibly weird turn. I was going to booktalk it at an event that our public library holds for local teachers and librarians but I wouldn’t encourage libraries to buy it. Hi Anne, Cathie Sue here. Thanks for commenting!!!!! i think it’s really interesting to see such strong opposite reactions to this book. if it doesn’t get chosen for the podcast, looks like i’m going to have to read it anyway just to see which side i’m on! 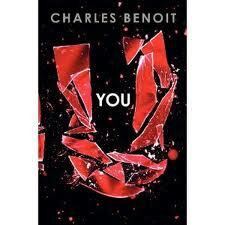 Benoit’s You was amazing! It has stayed with me for days afterward– which definitely isn’t always the case with some YA lit. There are some that I couldn’t remember a title the next day after finishing it. 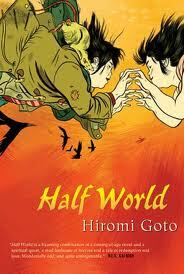 I am planning to go back and read his previously published books. I am definitely a fan– the book will be a sure hit with my students– reluctant readers will flock to this once I booktalk it. I can’t wait to see the reaction.